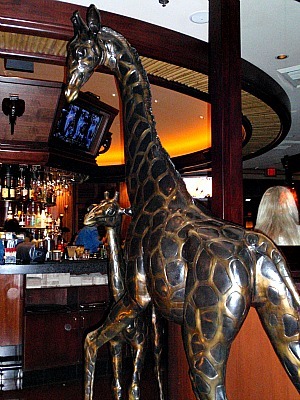 I recently had the opportunity to visit the ELEPHANT BAR Restaurant with my family to celebrate my daughter’s end of the school year. 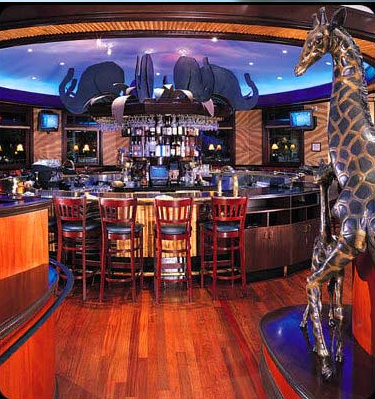 From the moment you enter the door of the Elephant Bar, you know that you are in for an adventure! The touch of Wild surrounds you with an exotic and fun eating experience. 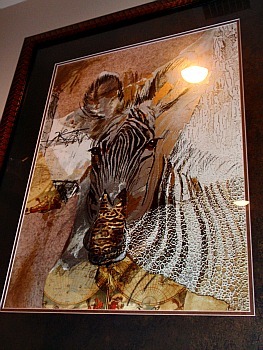 An array of Animal print decor from floor to ceiling, Safari flavor art and sculptures, enhance the sense that you are a tasting a faraway land. 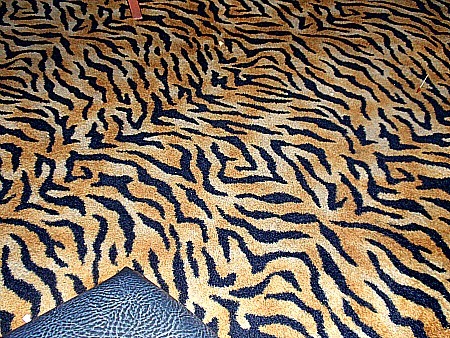 Giraffe and Zebra ceiling treatments were out of this world! The food was delicious! 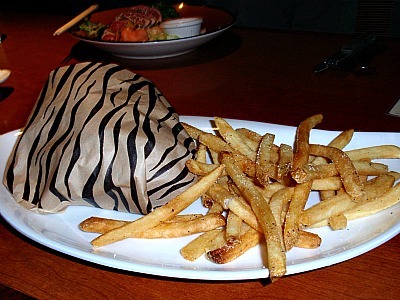 Not only that, my sandwich was wrapped up in Zebra print paper! What you think? Are you up for an adventure?